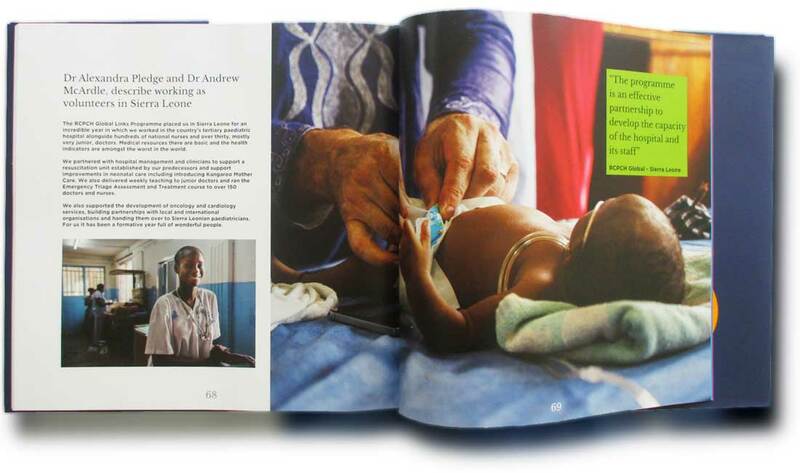 Book design is all about structure, contrast and pace. 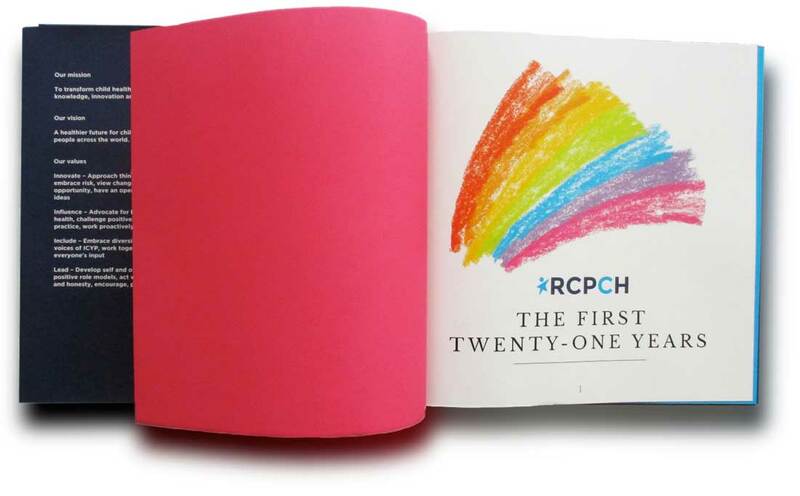 In this hardback book to mark the 21st anniversary of the Royal College of Paediatrics and Child Health (RCPCH) we used a striking series of children's drawings as well as the organisation's bold new brand colours. 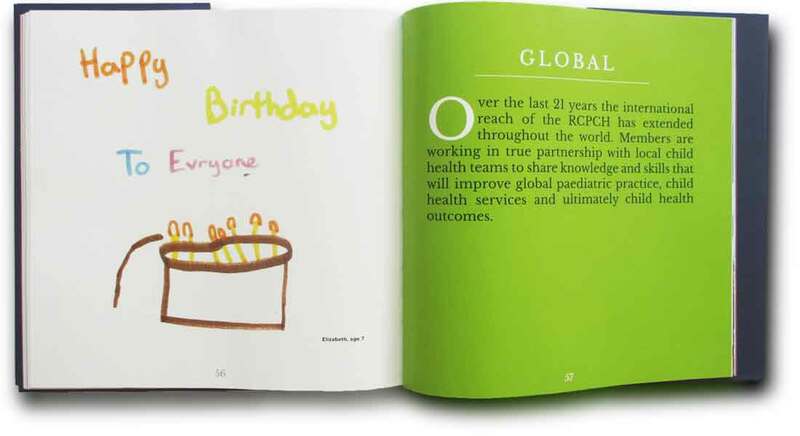 This enabled us to draw together the varied content and to provide a central theme. 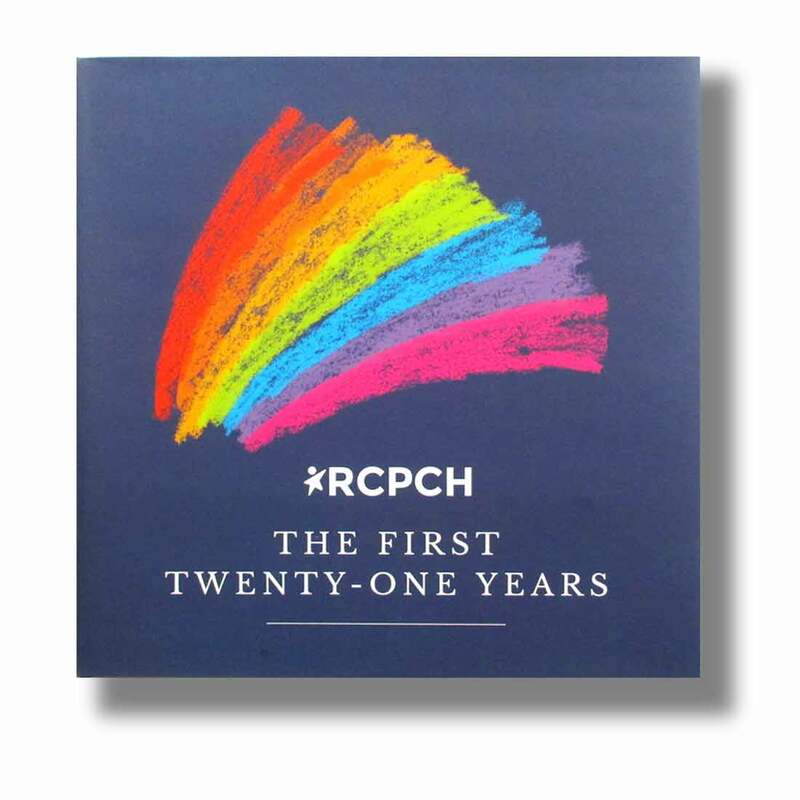 The same ideas also inspired the front cover illustration; an optimistic hand drawn rainbow heralding both the newly launched brand style as well as the future work of the College in improving child health across the globe. Finally, we designed a simple badge-like logo that could be used across a variety of media produced in the anniversary year.